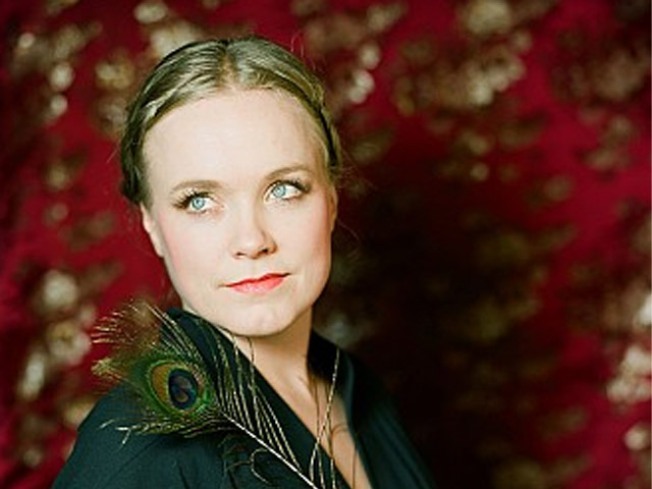 Norway's pop-folk sensation Ane Brun plays Bowery Ballroom. NORTHERN LIGHT: Norwegian singer-songwriter Ane Brun is a force to be reckoned with: she’s the founder of musical collective DetErMine, started her own record label in Sweden, is on her fifth studio album (“Changing of the Seasons,” produced by Valgeir Sigurdsson of Björk and Coco Rosie fame), and just got tapped to open for Peter Gabriel on tour. She brings her multi-talented self and lyrical, textured pop songs to Bowery Ballroom at 8PM. WEST WAS WON: 1933’s “She Done Him Wrong” is best known for the bit where sassy saloon owner Mae West (who wrote the play the movie is based on) suggests to Cary Grant (whom she frankly looks like she could benchpress) that he might want to come up and see her sometime. The rest of the movie goes down just as easily, and is a nice reminder that not all early leading ladies were wispy, glowy butterflies or dark femmes fatales—West’s appeal is far more complicated than all that. MoMA, 8PM. JUNGLE RHYTHMS: It’s a little ska, a little surf rock and a little salsa (with about a hundred other sounds thrown in, including moog and an accordion/organ hybrid called the Electravox): the cumbia of the Chicha Libre collective – based on Peruvian music from the Amazon – may sound overcomplicated to describe, but its effect is simple indeed: Pure, unadulterated hip-shaking. The band plays Park Slope’s Barbès at 9:30PM.